Join us for a special “Open House” on Wednesday May 2, 2012 from 5:00 to 7:00pm for wine, cheese and shopping. 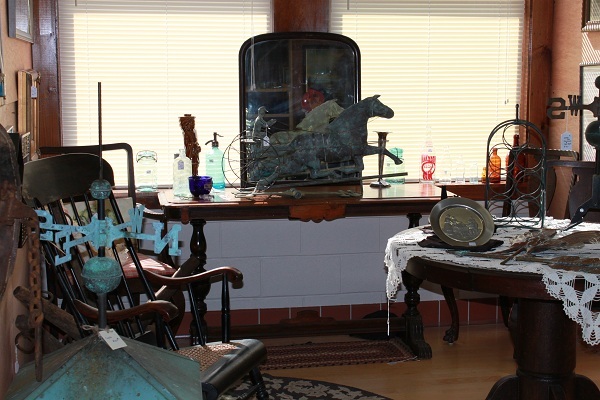 Get a jump on Mother’s day and the Brimfield Antique show. We will be offering new inventory on Jewelry “Blings and Things” with Rose and Lucine – Tosca,a new handbag line and our ever changing line of Antiques that range from primitive to shabby chic to mid-century modern. Great variety of merchandise! Rapidly changing, highly recommended to stop in often! Bling & Things will have our “NEW SPRING LINE” of jewelry on display. Come and see the beautiful pieces to add to your own Spring Collection at great prices. Rose & I are looking forward to this event with Nancy. Anne will be bringing in a huge selection of vintage and antique jewelry for your consideration as well! Fabulous pieces at affordable pricing! Looking forward to sharing! Come visit booth 15 and see the sparkle! Thank you for putting this together Nancy!